Excellent new position which includes clinical and administrative duties in a block schedule of 7 days on, 7 days off. Director interviews and oversees staff, coordinates with hospital administration on best practices and development of new programs, and takes on some clinical duties. Experience with ECT and partial hospitalization highly preferred. 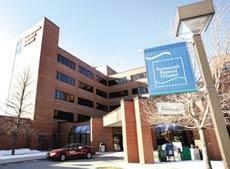 Portsmouth Regional Hospital is a 240 bed referral center with a 33 bed inpatient unit. In recognition of their commitment, they strive to deliver high quality, cost-effective healthcare in the community. Work in a world-class facility with seasoned support staff. Generous hourly compensation and call pay! Experience a positive, professional work environment in a top tier facility located in Portsmouth, NH, a seacoast city, sits near the mouth of the Piscataqua River, which divides the states of New Hampshire and Maine. Portsmouth is at the core of a metropolitan region that includes several small cities and towns. As the nation's third oldest city, Portsmouth is rich in history and abundant with cultural activities. Portsmouth offers small-town charm blended with easy access to a host of outdoor activities and major cities. The area includes top-notch educational institutions-both public and private-along with no sales tax or state income tax. Portsmouth is situated only an hour away from Boston. New Hampshire's Portsmouth Regional Hospital provides comprehensive inpatient and outpatient medical services to the residents of New England's Greater Seacoast area. The Seacoast stretches from Southern Maine coast to Northeastern Massachusetts. The 209 bed hospital is home to more than 200 physicians and 1,100 employees. Because of the hospital's progressive approach and proven outcomes, area residents no longer need to travel to Boston for a vast array of procedures and services. The hospital serves as a regional tertiary center for Cardiac and Neurosurgery. In addition to the availability of advanced technology, physicians can rely on 24/7 inpatient Hospitalist program and superior nursing care that has helped Portsmouth Regional Hospital rank among the top hospitals nationwide in patient satisfaction. A $63 million facility expansion and renovation began in 2008, adding more than 67,000 square feet of new construction and 88,000 square feet of renovations to the existing facility. Portsmouth, a seacoast city, sits near the mouth of the Piscataqua River, which divides the states of New Hampshire and Maine. Portsmouth is at the core of a metropolitan region that includes several small cities and towns. As the nation's third oldest city, Portsmouth is rich in history and abundant cultural activities. Portsmouth offers small-town charm blended with easy access to beaches and major cities; Boston is just an hour drive away. Close to ocean, lakes and mountains. No income tax or state sales tax.